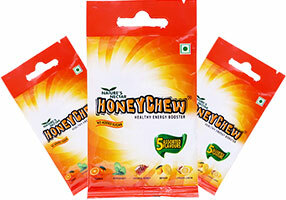 HoneyChew is a quick dose of delicious, rich and chewy honey that is available in 5 unique flavours. 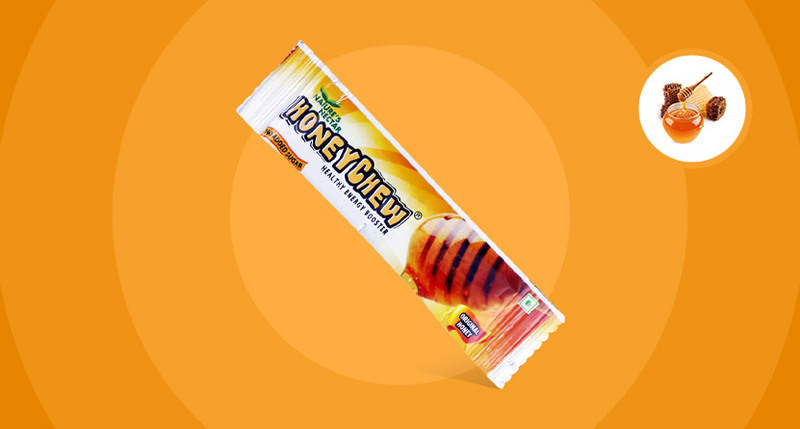 Each bar is filled with a flavour that is exciting, different, tantalizing, yet satisfying. Easy to love, from the first slurp till the last. The good old of Natural Honey flavour is your fill of honey in its original form so that you feel the drizzle of delicious sweetness in your mouth. 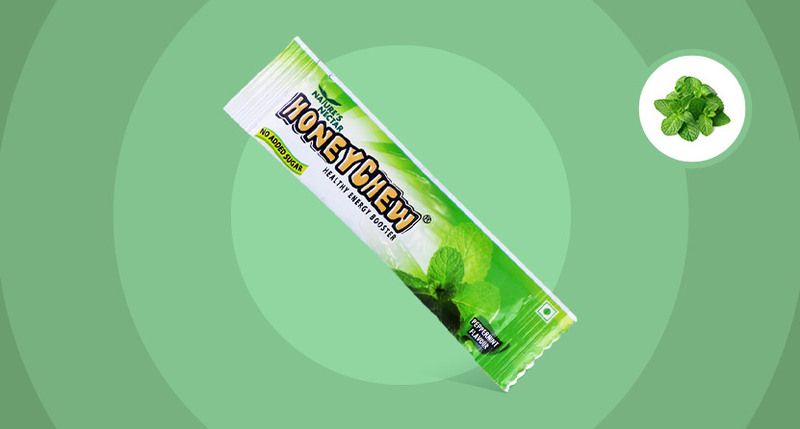 Tease your taste buds with a medley of tangy, sweet and mellow flavors packed in the Peppermint flavour. It is an excellent mouth freshener. 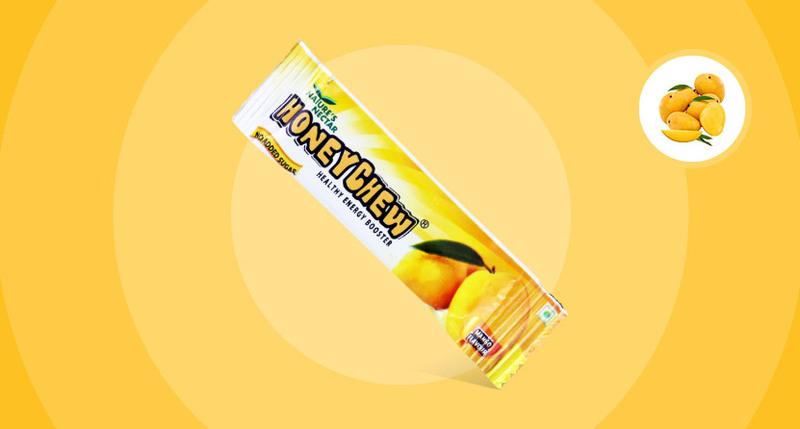 Slurp away the fruity and tropical twist of mango blended with the splendid sweetness of HoneyChew. 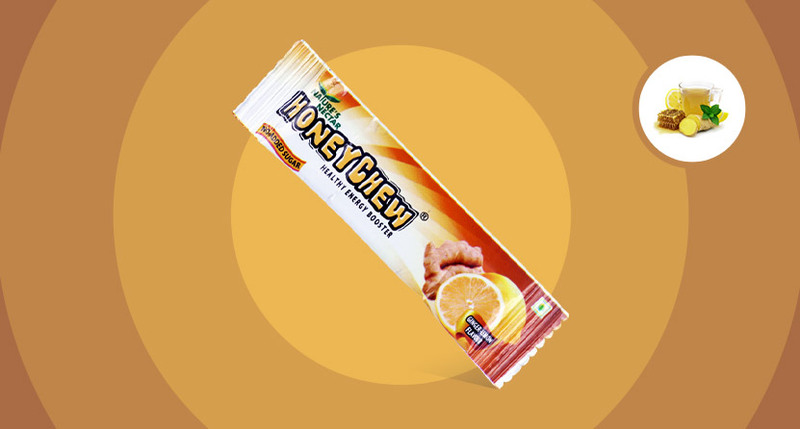 It definitely makes a treat that you will love. 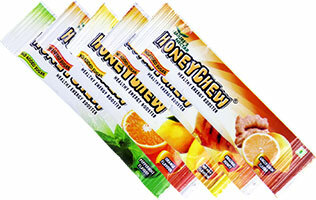 Tangy, hot, zesty and sweet – Imagine all of it in one go. 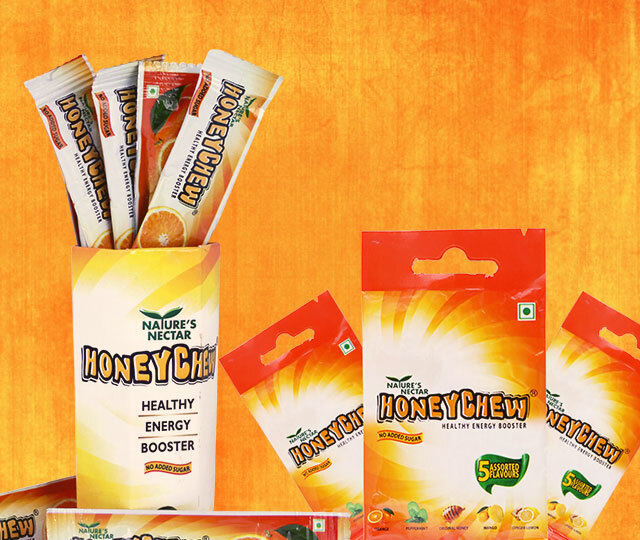 Get ready for a flavourful gush in your mouth with the Ginger-Lemon flavour. 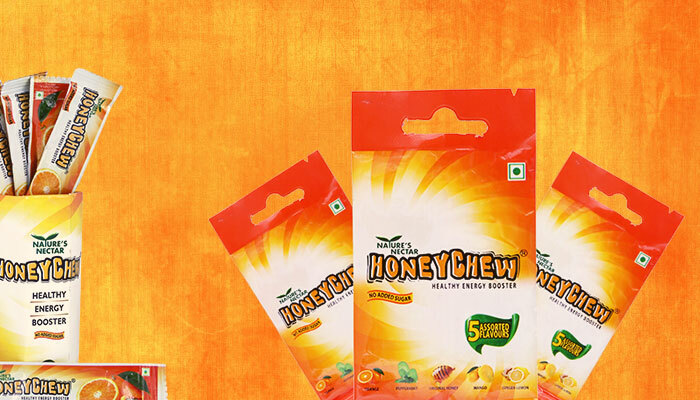 Refreshing, nourishing and simply irresistible – that’s the orange flavour. 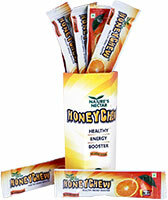 The tangy, rich and sweet blend is definitely a pleasant sensation for your taste buds.